Long time no see! I've been busy, too busy to blog. But I am still reading, always. 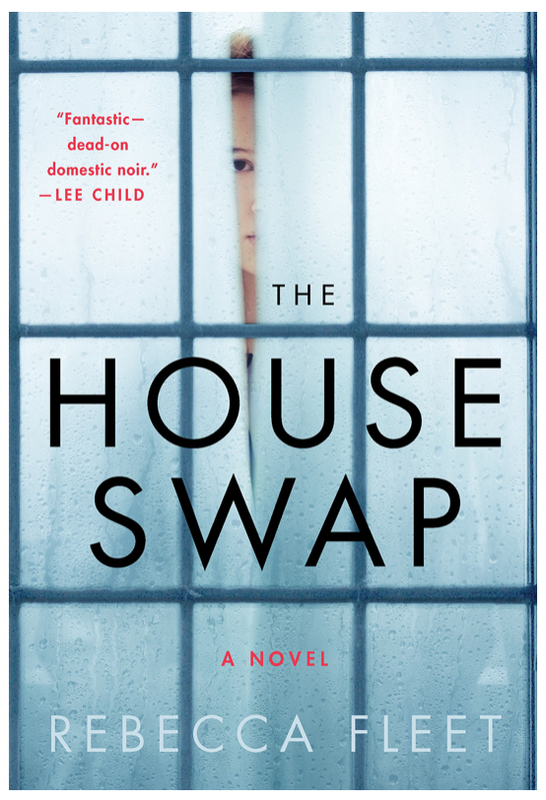 So without further ado, here is what I thought of The House Swap, by Rebecca Fleet. A couple having what seems to be a rough patch decides to take a weeklong getaway without their son. To save money, they decide to opt for a house swap. Little do they know that nothing is what it seems. The first half of this book didn't captivate me at all. It felt like it dragged on, was a little cryptic and didn't seem to set any kind of useful background for the rest of the story. I was expecting to be immediately enthralled in a gone-girl-type of mystery novel, so this was a bit of a letdown, but I persisted with the book. The second half is much more interesting and explores the difficulties the couple is facing, as well as the mysteries surrounding the house swap. Without giving too much away, I did find that the main protagonists were not relatable at all, and much of the personal drama behind the story felt very self-indulgent. The author jumps back and forth between present and past, following both the path that led the heroin there, and what that very same path set in motion. While not groundbreakingly original, this allowed for a more dynamic rhythm. Overall, this was a "meh" book for me. Entertaining if you stick with it and make it past the first half, and there are a few surprising plot twists, but I think a more relatable main character would've gone a long way. This book was sent to me for review purposes. As always, the thoughts and opinions expressed in this post are my own. It took me a while to finish Ordinary People, not because I didn't like it but because it was definitely a slower pace book. I couldn't really describe what it's about without sounding boring. But it's not! This is a book about normal life, parenthood, adult relationships and what it means to be a grown-up, set in South London at the very beginning of the Obama years. It's a book about Ordinary People. So why read it, you ask? Why would you want to read about something so close to reality, where nothing crazy happens, there is no mystery to solve aside from that of the interpersonal relationships between husband and wife, mother and child, men and women? It's a valid question and I did ask myself if I wanted to keep reading the book when it became clear that nothing particularly interesting would happen. There are two main reasons I chose to keep going, one of which is very personal to me and telling of the fact that I need to read more: Ordinary People is the first book I have read about normal people doing normal things in which all the protagonists are black. It sounds stupid and I am ashamed of it, but I've read countless books about white middle class people living in suburbia, yet never once have I read anything similar set in a black community. The second and main reason I recommend this book? Diana Evans is an absolutely stunning writer. Her prose is a masterpiece, very distinctive, incredibly rich, yet simple and unpretentious. 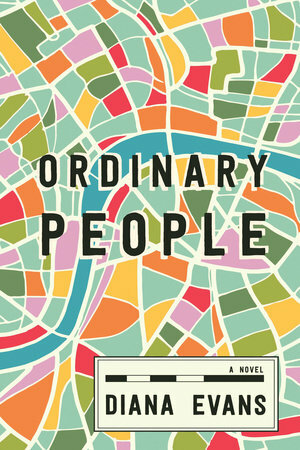 Ordinary People is no Ordinary book. It is well-written, thought-provoking and surprisingly different from anything I've ever read. * I received this book from Penguin Random House Canada for review purposes. All thoughts and opinions are my own. 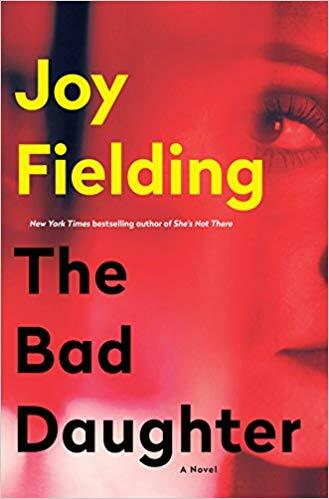 I read The Bad Daughter a few months ago, and had planned to review it from the start. Rarely, however, do I have to refresh my memory like I had to for this one. I had forgotten most of the plot and that led me to question my own memory, sure, but also the book, which I was certain I had read with enjoyment. The main character, Robin, is a psychologist and is pretty much estranged from her family. One day, she receives a phone call from Melanie, her sister, telling her their dad and his wife had been shot. This phone calls has Robin spiralling back into old patterns of anxiety - not so much because of the news themselves, but mostly because of her difficult relationship with Melanie. I realized that I didn't really find this book memorable because, as entertaining as the plot was to follow while reading the book, the most interesting aspects of the novel were the relationships. The mystery plot itself is fairly predictable and felt a little rushed. The dysfunctional relationships within the family had a little more depth, despite an obvious lack of subtlety. All in all, while I found it easy to read, The Bad Daughter was a bit of a letdown for me. This blog is turning into quite the book review blog and I'm not mad about it. It's now officially summer and the best time of the year to get your read on! 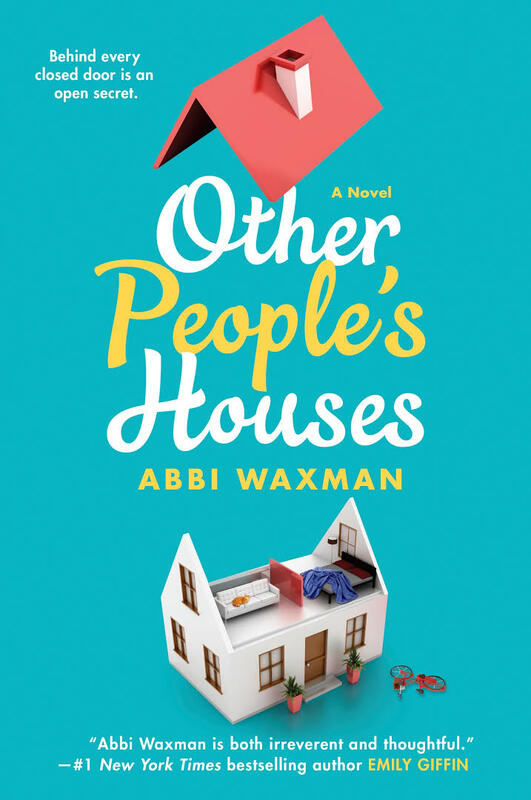 Other People's Houses is the perfect beach read. Or summer read. Or nightstand staple. Basically it's a book you should read. I had fairly low expectations (you're starting to see a pattern here) and wasn't sure if I was going to get a reality-TV type of book. Instead I found a book that was captivating, well-written, with complexity and nuance about adulthood, relationships and marriage in general. Other People's Houses is very realistic - so much so that my husband, with whom I had only talked about the book - had dreams that I cheated on him several times after that. This book tells what goes on behind closed doors in a quiet suburban neighborhood. And what goes on behind these doors isn't always pretty, or even exciting. It's just life. Real, messy life. The authors manages to write about regular people and make it entertaining, capturing the complexity of each character, without resorting to being overly scandalous or forced. Everything is perfectly measured, rings true but not intrusive, and ends up making you question many "grown-up" choices. It's also funny, thoroughly enjoyable and quite the page-turner. I had read and enjoyed Gillian Flynn's Gone Girl when it first came out, so my expectations were somewhat high when I first picked up Sharp Objects. Needless to say, I was not disappointed. Sharp Objects is the kind of book you can't put down, but if you do, you can't stop thinking about it. It is sticky, messy, uncomfortable and exquisitely well-written. I did not read the synopsis prior to starting the book, as I did not want to taint my reading experience with a path that would be created by someone else. I let myself discover the story word by word and found myself completely absorbed in the disturbing story and its complicated protagonists. I don't want to spoil anything for you either, so I will choose my words carefully. But you can expect a murder investigation, an extraordinarily deep exploration of pain and grief, and complex family dynamics. The story's oppressive setting is perfectly rendered by the author, from the beautiful Victorian houses to the hot, muggy, stuffy little town of Wind Gap, Missouri in the summer. 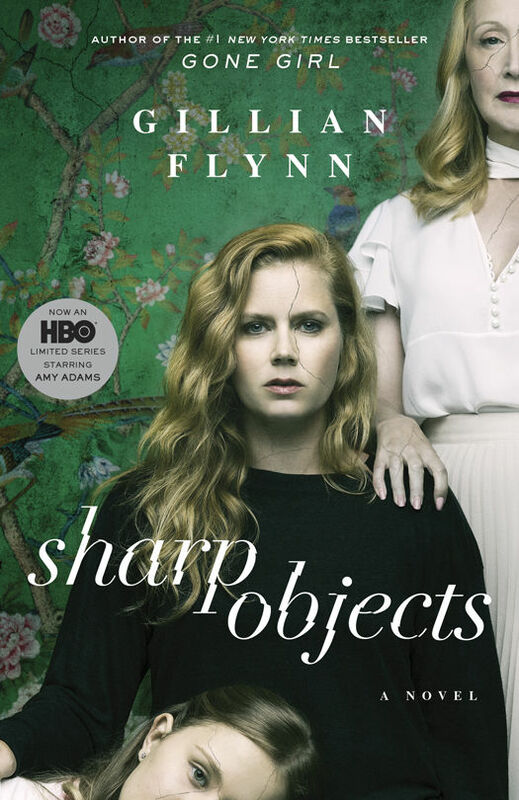 I have no doubt that Jean-Marc Vallée's TV adaptation of Sharp Objects for HBO will be brilliant - however I highly suggest you read the book first, as the nuances and the writing are too powerful to pass up. * This book was kindly sent to me by Penguin Random House for review.